I am in a stage of life where it seems all my friends are having babies, getting promoted in their careers, moving, and are just too busy to find time to catch up. It makes me long for the days when my friends and I could go out for an impromptu night on the town or weekend at the beach. Alas, those carefree days are now memories. In spite of the march of time I try to pour into my friends lives when I can: it is a challenge. I stay on the lookout for ways to bless my friends with hospitality. It could be a good old fashioned card in the mail, a random call on the phone, even finding an old picture and emailing it to spark a smile or laugh in their day. But nothing quite comes close to spending time in person with a cherished friend. One of my dearest just blessed me in this way. She asked if she could drop by after work. I wasn’t sure why but said of course! She showed up, champagne in hand! You see, I had just published my first blog and she wanted to celebrate my achieving a dream. She had a reason to celebrate with me, but one isn’t always needed. Working on some new recipes? Have a few friends you haven’t seen in a while? I call that a match made in hospitality! Arrange to catch up at their place so they don’t have to leave the comfort of their home. Bring over some of your new concoctions to share. Been waiting to try that bottle of wine you read about? Take that with you. Leave your messy kitchen, unfolded laundry, and less than perfectly vacuumed floors behind. 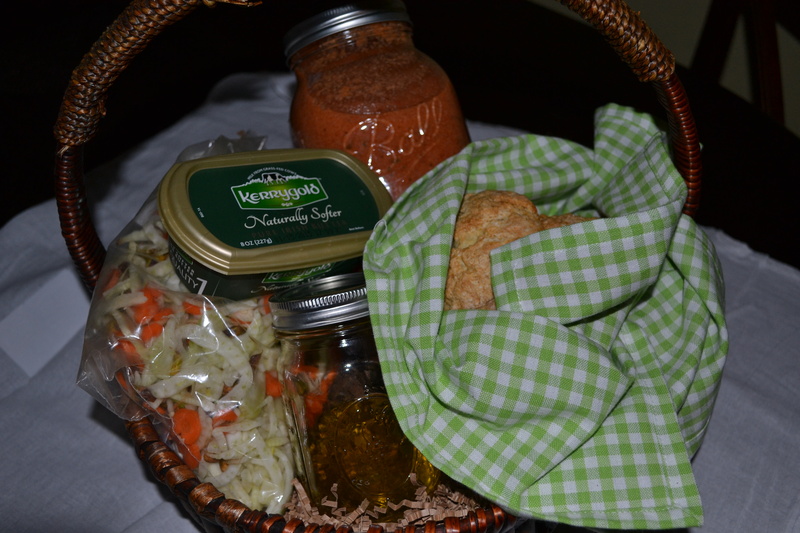 Without further ado, allow me to present one of my favorite gift basket ideas and recipes to you! 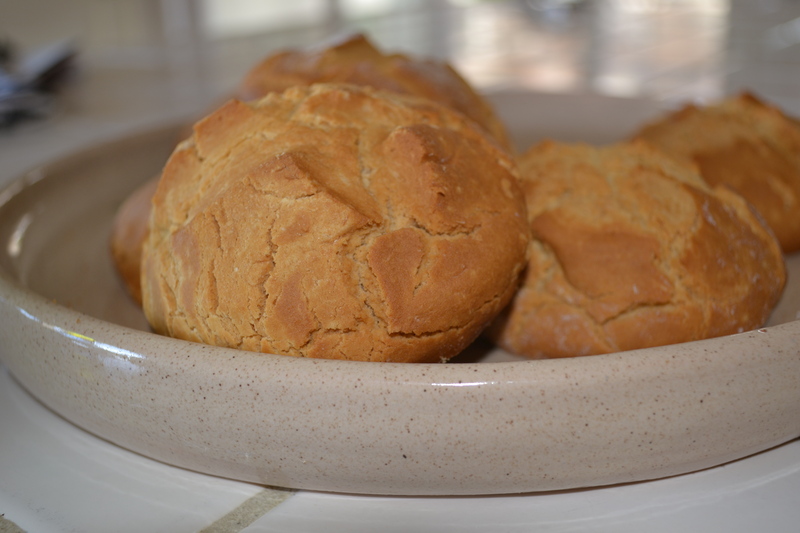 Meet a basket overflowing with happiness: homemade tomato bisque, Irish soda bread buns, and a salad of your choosing. 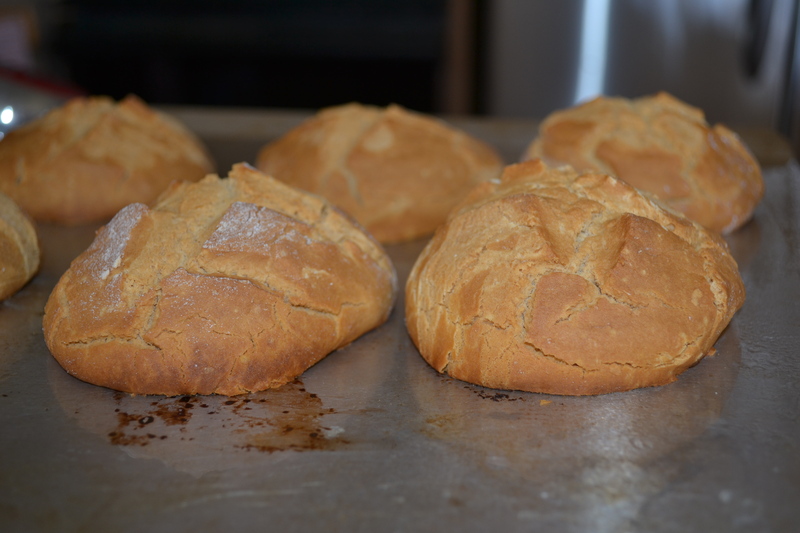 I put the soup in mason jars and wrap the soda bread in a decorative napkin (or use a flour sack towel). All of these items can be found at the variety store in my neighborhood. If you don’t have one near you, check out Walmart, Hobby Lobby or even Amazon. You can even buy the lettuce in a premixed plastic tub for basket to table service. Put the finished products in a basket that you can easily get at one of the retailers above. Click your heels three times, and you will be at the home of the lucky recipient, watching them grin from ear to ear with the basket – and friend – that greets them. All that’s left is to follow are my three C’s and your meal will be a success! To recap they are: cart (the supplies you will need), create (the recipe you will follow), and curate (how to put the final product together in a way that will be beautiful and practical). made. Either buy your favorite dressing or whip up a vinaigrette and place in a small mason jar for easy transport. 1. Simmer tomatoes in large saucepan for 30 minutes. 2. Add basil leaves and puree. 4. Add cream, butter, salt, and pepper while stirring on low heat. 5. 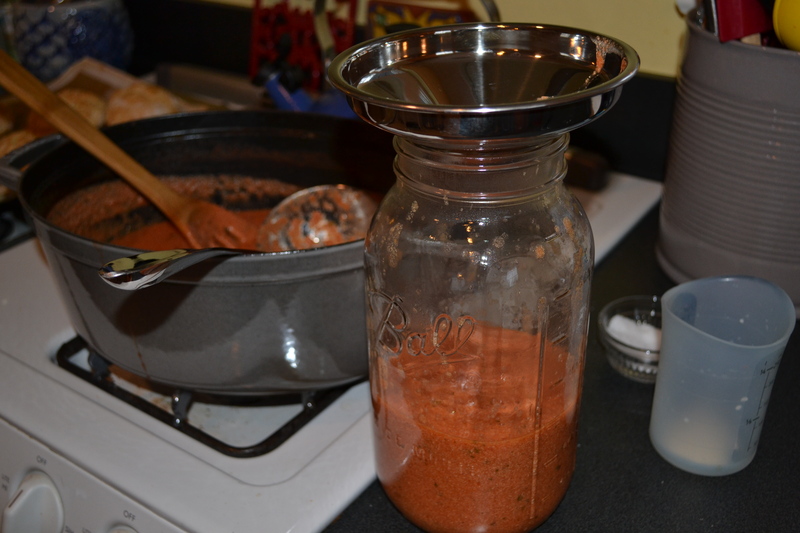 You can immediately ladle into mason jars. 1.Wash and dry lettuce and place in large bowl. mix any additional ingredients. 2. Return tossed salad to plastic container or whatever you choose to transport. 2. 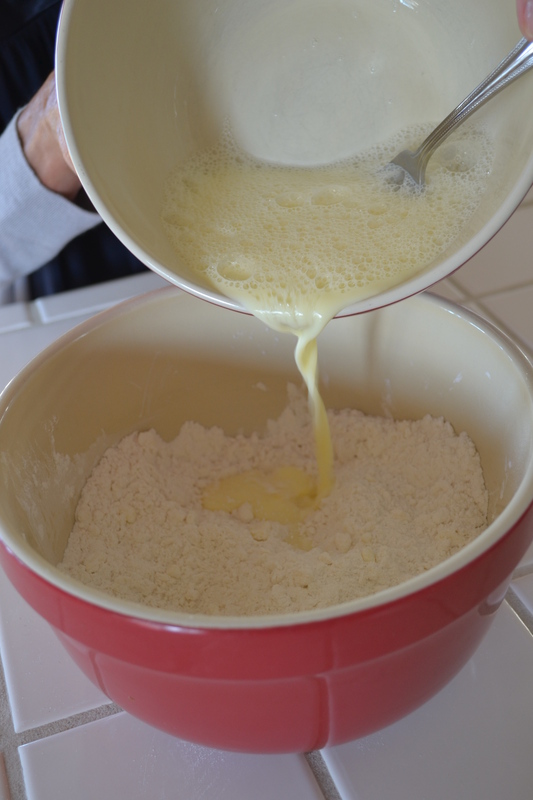 Mix dry ingredients in a large mixing bowl. 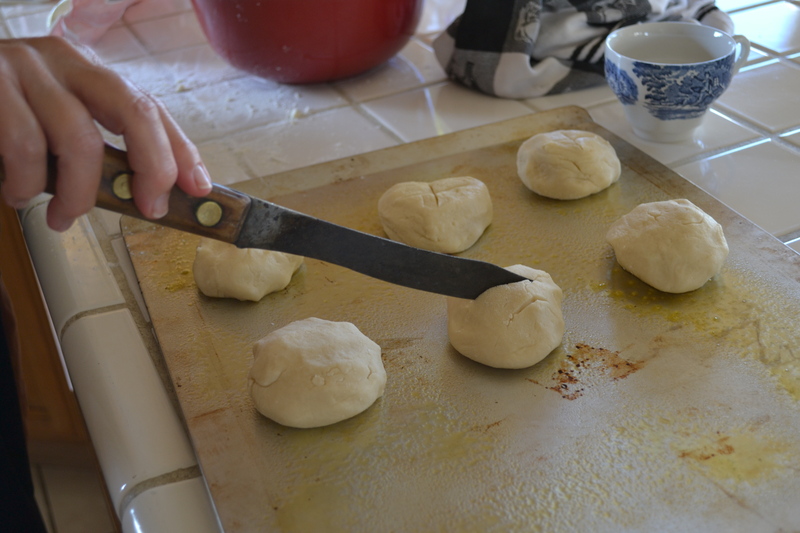 Using a pastry cutter (or two knives) work the butter into the mix. 3. In a smaller bowl mix the egg and milk. 6. Bake for 20-25 minutes. best served warm with Irish butter. 1. If desired place a decorative towel or extra flour sack on the bottom of the basket. I had some leftover filler from a gift basket I received which I used in these pictures. Place salad and soup containers in the back. 2. 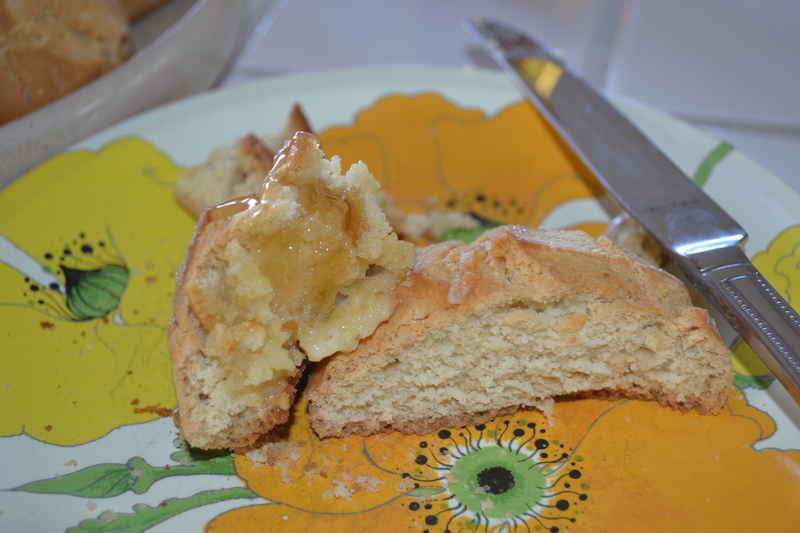 Layer in front the soda bread wrapped in napkin or flour sack, the salad dressing, and butter. 3. Any special touches: a bottle of wine, or sparkling lemonade. Perhaps a package of cut and bake cookies or your favorite homemade dessert! 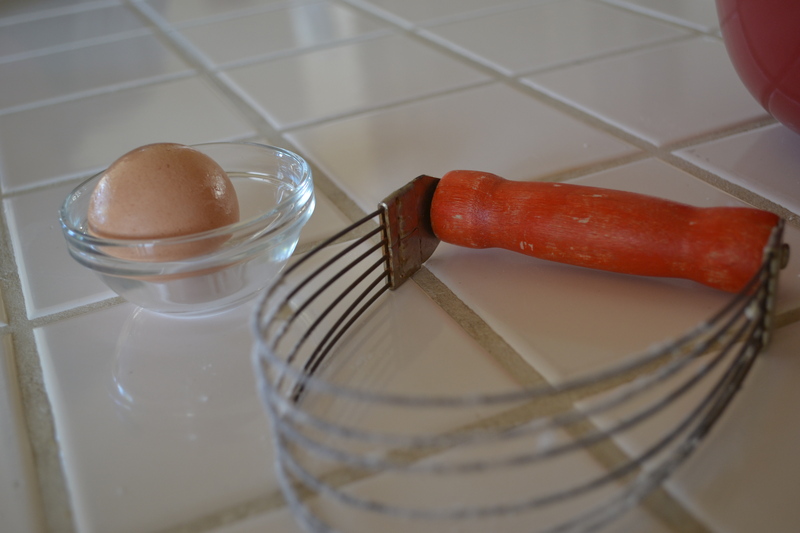 You could even get some fun salad tongs or a soup ladle for an extra touch. Warm and cozy ideas !! !